Read me in En Route! Great news! As of this month, you can read me in France magazine En Route! 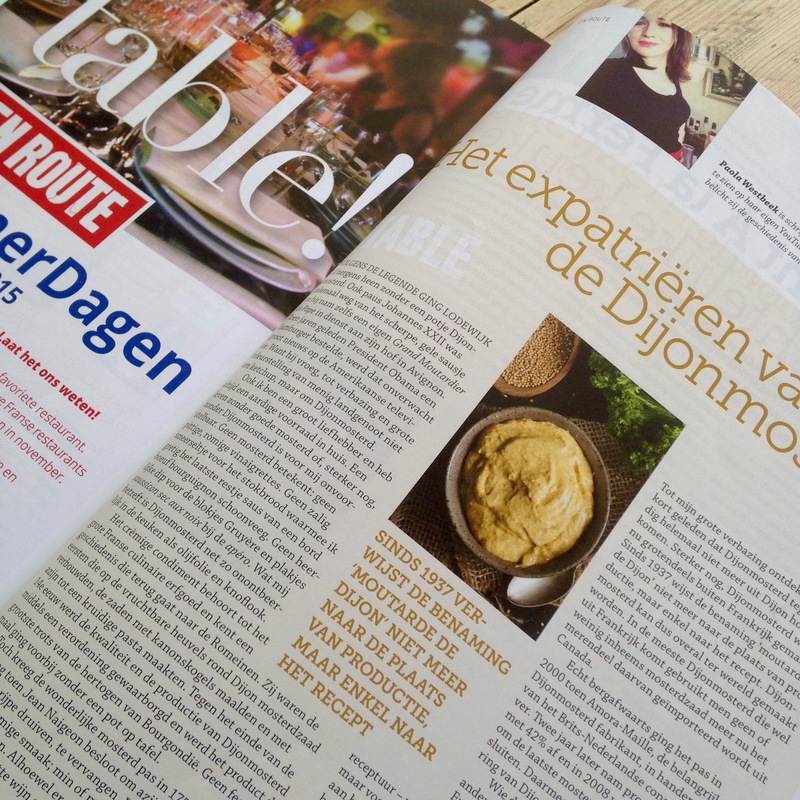 I recently joined the magazine as a food columnist, something which gives me great pleasure to announce. I have been reading En Route for a while now and thoroughly enjoy it every time anew. It has a wonderful mix of interesting features, travel articles, columns and news on what Francophiles like myself should not miss (everything from concerts to books). 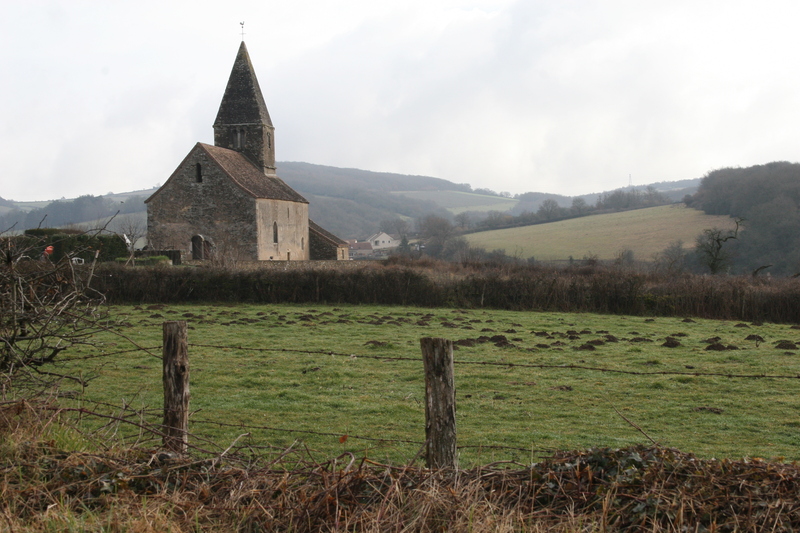 Whenever I go to France, I always keep a diary of the things we do and the places we see. I even like to stick in things like receipts from places we ate at or purchases we made (usually wine and food!). Here’s an entry from one late February/early March, years ago. 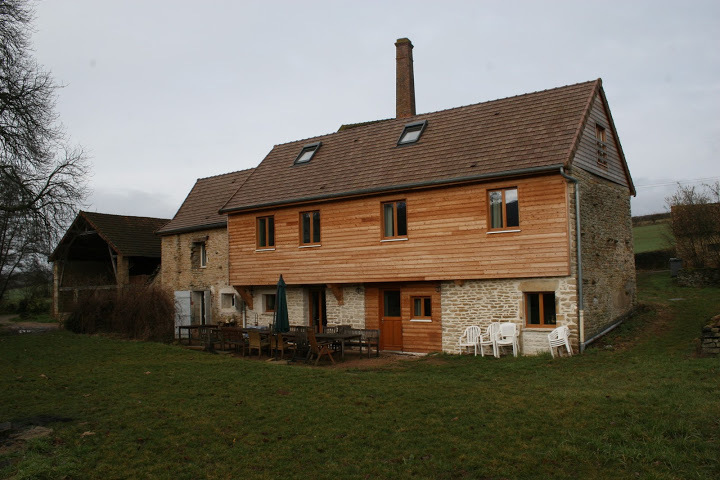 It was our first time in the Côte Chalonnaise, a place we would later visit again and again. Sunday: Today started off quite gray with ice and thick mist. It was unbearably cold in the house, so one of the first things Hans did was throw on his thick, red sweater and go out to collect some wood to light a big fire in the kitchen. In the meantime, I scrambled eggs, fried sweet slices of bacon and made a large pot of French press coffee. To me, a morning like this is a beautiful ideal. Like a dream almost. I feel thrown back one hundred years. 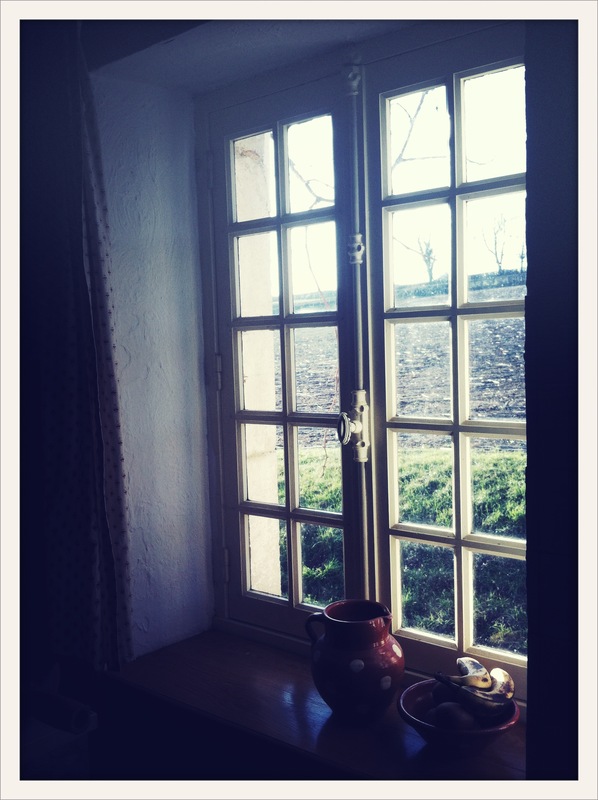 I know that in a past life, I was a French country girl, and the feeling I get at a moment like this just proves that to me. 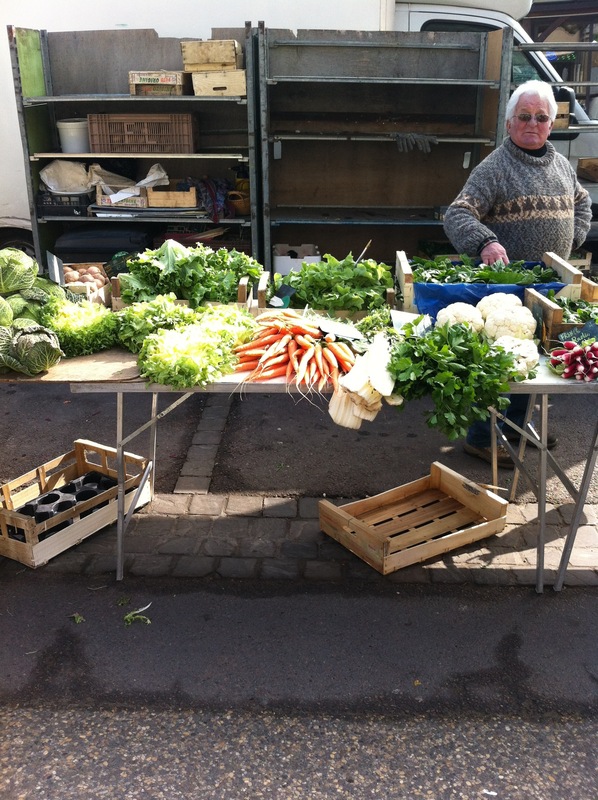 We first went to the market in Chalon-sur-Saône. It’s winter, but the market was still bountiful with an explosion of color, artisanal products and beautiful food presentations! 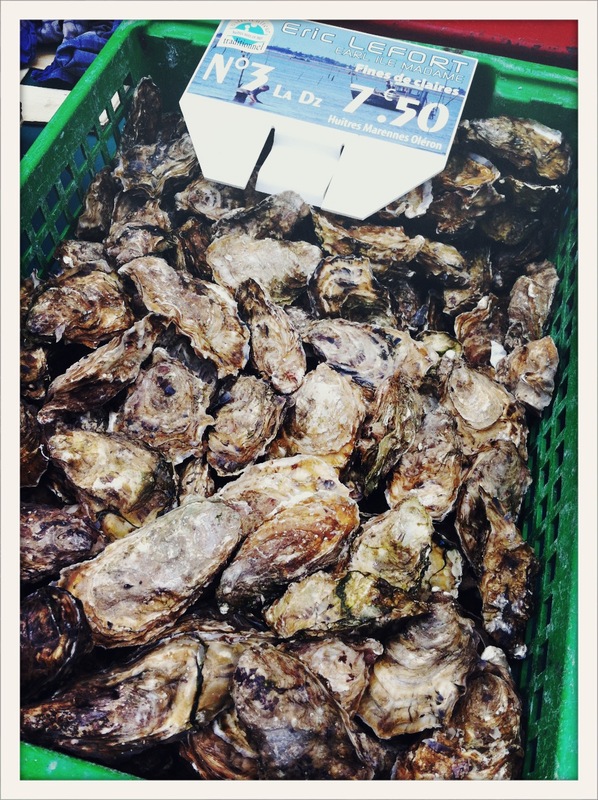 There was pink garlic, freshly-slaughtered, fat chickens, cheeses and even an oyster stand. It was rather busy for a Sunday, and many shops were open. I took notice of a beautiful butcher’s shop where tongue and pigs’ feet were on display by the front door. Repulsive to some, but I am a strong believer in ‘head to tail’. If you eat meat, you eat everything. After the market, we drove back to Buxy for lunch, only to discover that the restaurants didn’t serve any lunch on Sunday. 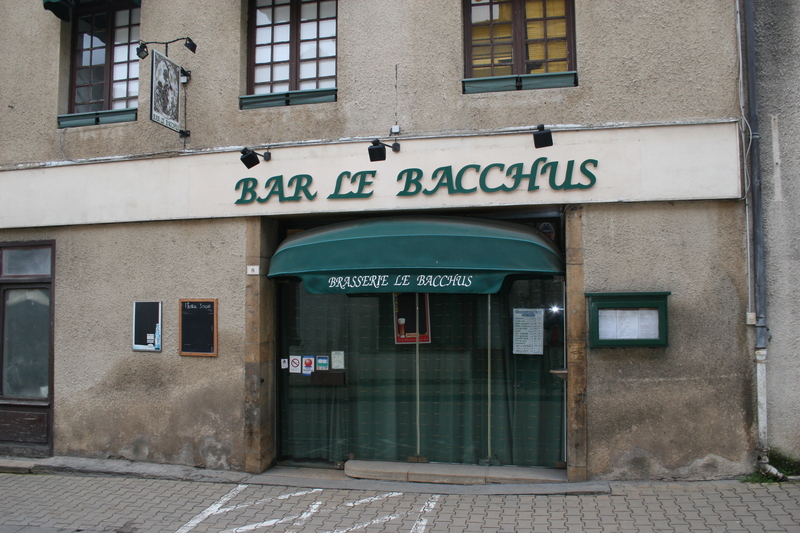 The only one that did was the local bar, Bar Le Bacchus. It looked pretty closed, and I wasn’t really sure a meal there (if they were open) was a fabulous idea. After lunch we headed to Beaune where an antique fair was being held in the covered market known as ‘Les Halles’, directly in front of Les Hospices de Beaune, the 15th century almshouse founded by Nicolas Rolin. There was lots of fur, stoneware, silver, copper, and vintage Parisian clothing. We treated ourselves to a set of silver dessert spoons for just twenty-five euros. Monday: The day started off cloudy again, but pretty soon the sun came out and it suddenly went from winter to spring. 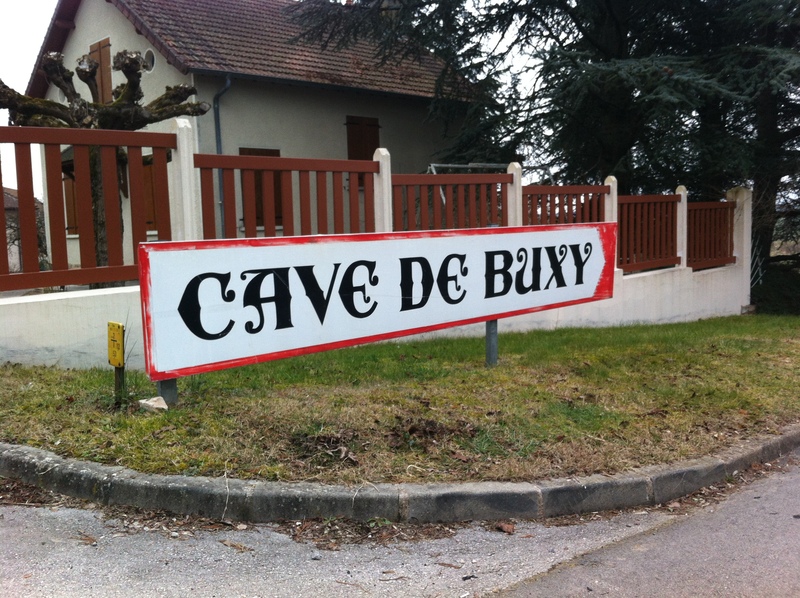 We drove around the local vineyards, and after a coffee break, we visited the wine cave at Buxy, a great place to buy local wines at reasonable prices (lower than supermarkets). We were told that wine tastings were offered on Saturdays. 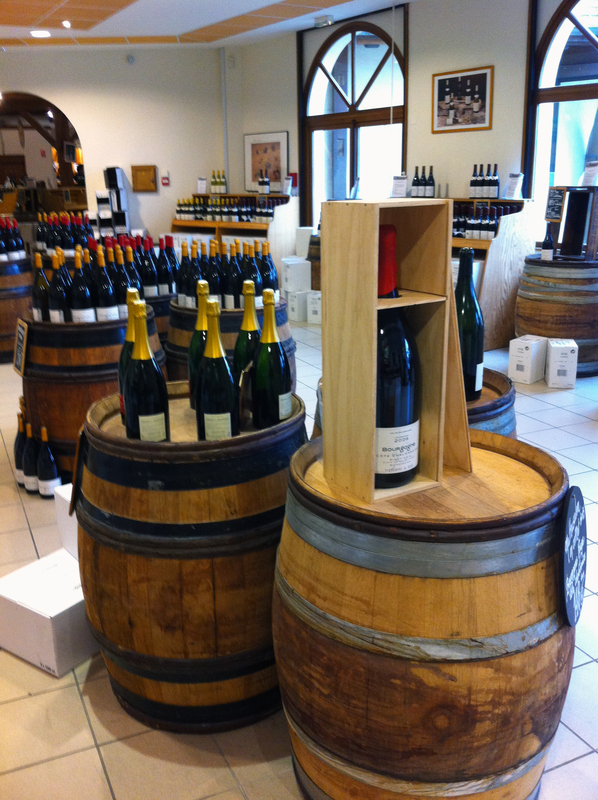 There are folders next to all of the wines (in French and with recipes), and you can take your time and box up your own bottles. There is also a small selection of regional products. 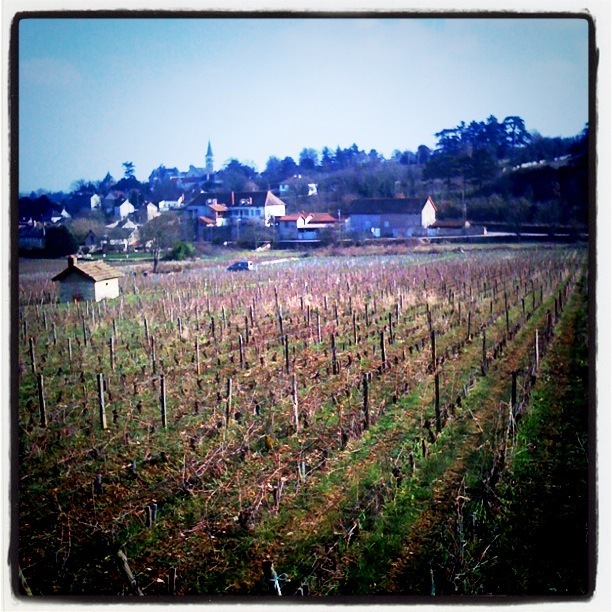 Besides a few boxes of Mercurey, Givry, Montagny and Rully, I bought some grape seed oil. A liter bottle for just a little under five euros. 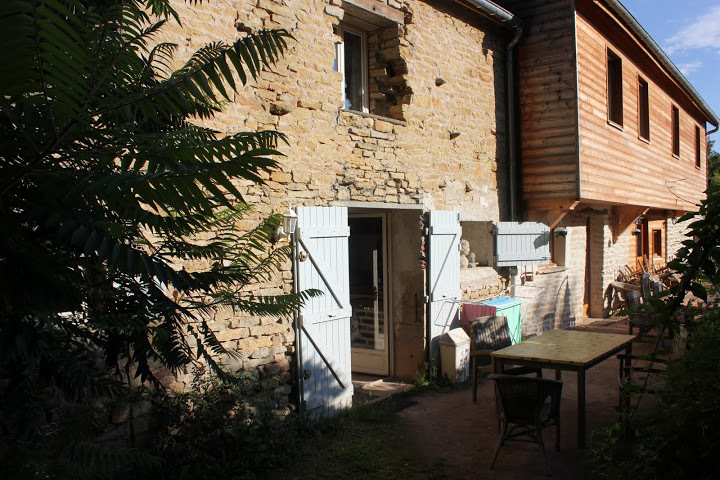 The house where we are staying, by the way, is an old wheat mill called Moulin de la Canne. We are staying at L’etable, a very cozy, recently renovated part of the mill. 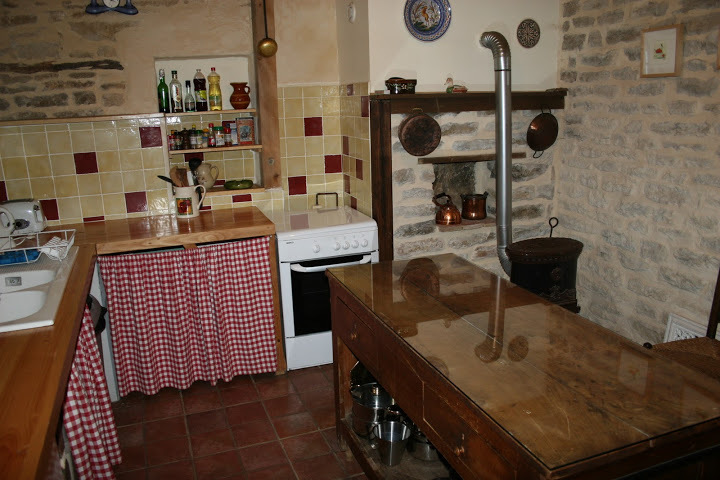 It is decorated in typical French country style, which means lots of copper and stoneware. 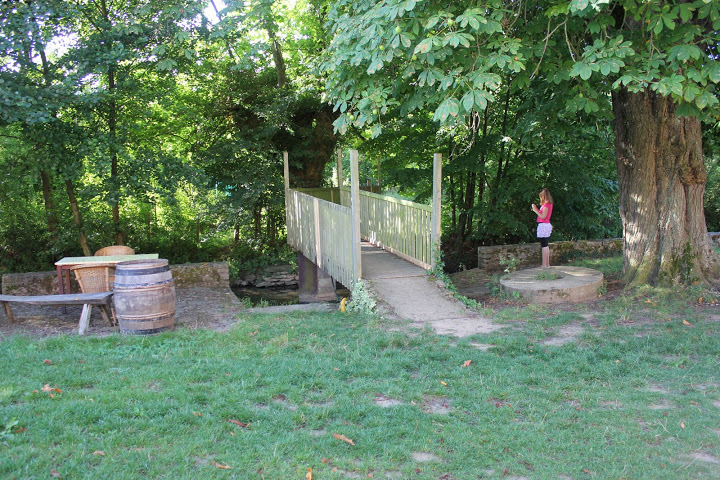 We are the only guests in this secluded paradise called Cersot. 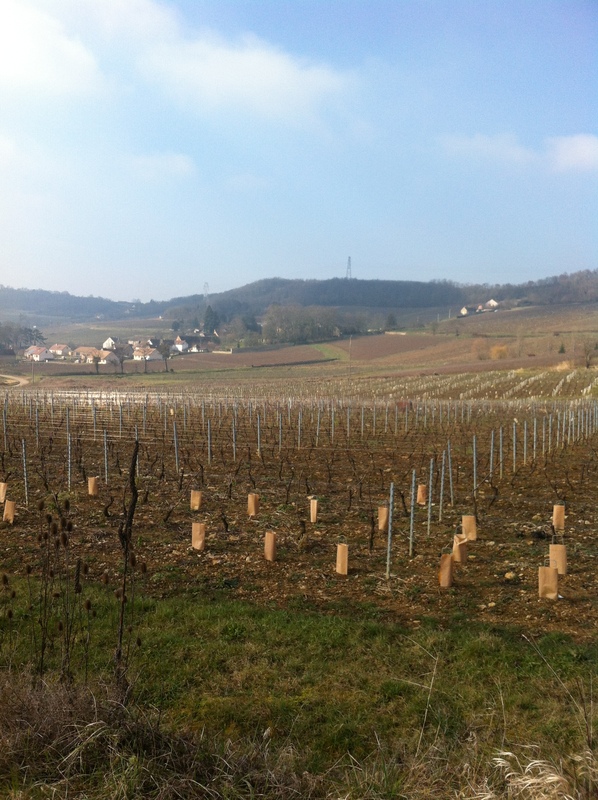 We are very close to the Montagny vineyards which produce delicious Chardonnays. It is winter but I can imagine how wonderful it will be here in the summer. 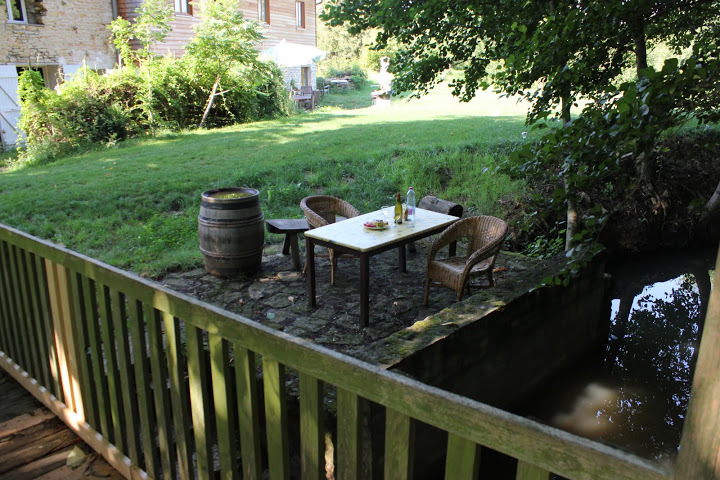 There is a small river flowing by the front door, a tall chestnut tree and a view of the Burgundian hills. 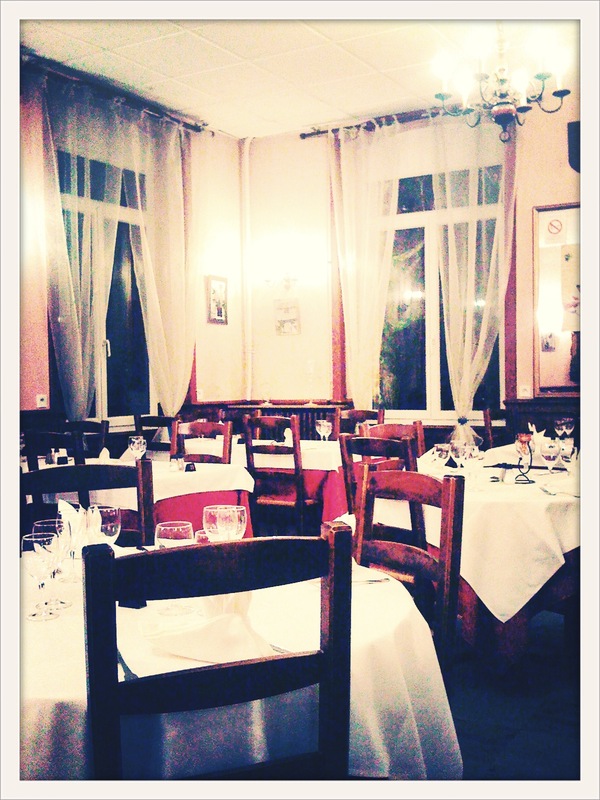 Yesterday, Tuesday, we decided to have dinner at Chez Jules in Chalon-sur-Saône. We were the first to arrive, but soon, the place quickly filled up. There were two sides to the restaurant, and we were seated by the window. The decor was modern with a touch of country. Lots of red with peonies on the curtains and stoneware chickens as decoration. The tables were very nicely set with good glasses and linen napkins, but the music could have been a little friendlier on the ears. Who wants to listen to dance music at a restaurant! The waiters were two very gracious (and very young) boys. One of them said he could speak English if needed, but of course, we only spoke French. The food at Chez Jules was delightful. Our amuse bouche was a crostini topped with a garlicky fish and vegetable salad. 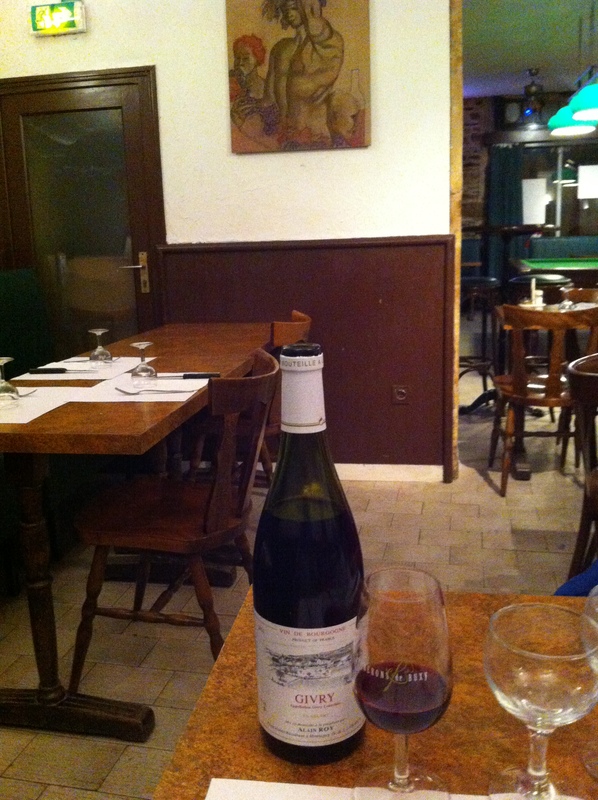 We had a Kir as an apéritif, and with our dinner I ordered us a Givry Premier Cru. The wine was light and fruity and paired just fine with my dinner, even though it was fish. I had the trout with a chive beurre blanc sauce and a potato quenelle. Hans had the boeuf bourguigon with potatoes and garlic croutons. I almost forgot to mention that we both had oeufs en meurette as a starter. This classic Burgundian dish consists of a poached egg with wine sauce served on toast. The wine sauce was amazing and the crouton very garlicky! Sadly though, my egg was overcooked. For dessert I had the tarte tatin which was served with a warm caramel sauce, and Hans had a millefeuille of pears and chocolate which looked rather tempting. Yesterday, Wednesday, we woke up to a clear, icy day. 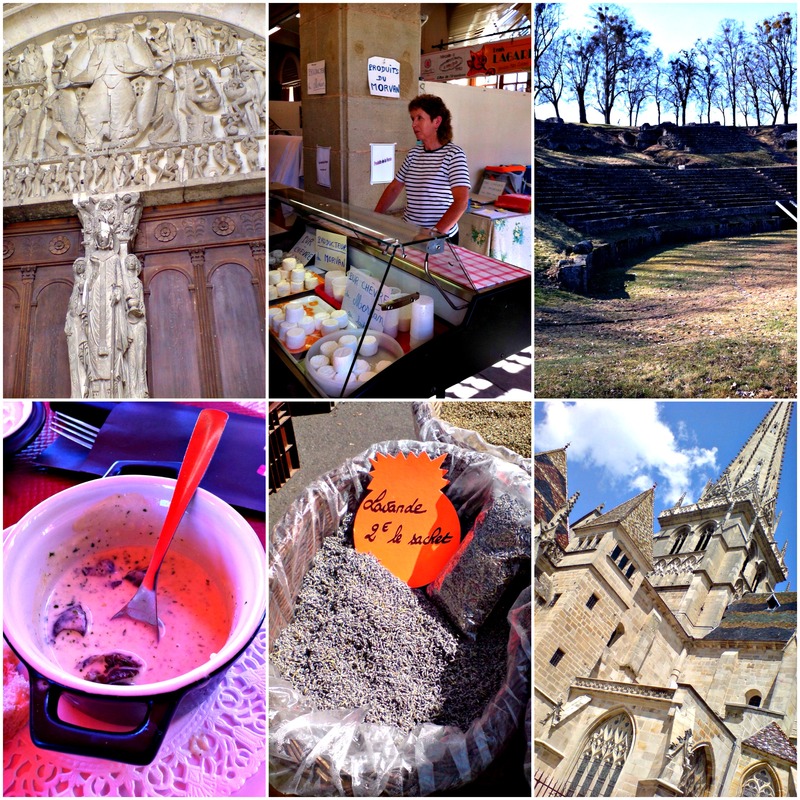 Our plan was to visit Autun. We first headed to the market, but when we arrived, we weren’t surprised to see that only a few vendors had showed up. I guess they decided to stay indoors by their fires, nice and warm. Funny that there were still tables outdoors though. As we walked through the city, we came across that place where we took a picture of Kirstie eating an apricot some years ago. And we also saw the same dried fruit stand that we once captured on a photo with wasps swarming all over the place. The market may have been small, but being there brought back a lot of fond memories. We had lunch at brasserie, Le Commerce. I started with a cocotte of snails in a garlicky cream sauce. They were so good! The sauce was thick and velvety and coated the back of the spoon, yet it was not heavy at all. I mopped it up with thick chunks of bread. For my main course, I chose one of my favorites, the blanquette de veau a la sauce ancienne. The meat was so tender and the cream sauce light and lovely. It was such a treat to eat it with forkfuls of fluffy rice. Unfortunately, dessert was not an option. We were much too full! 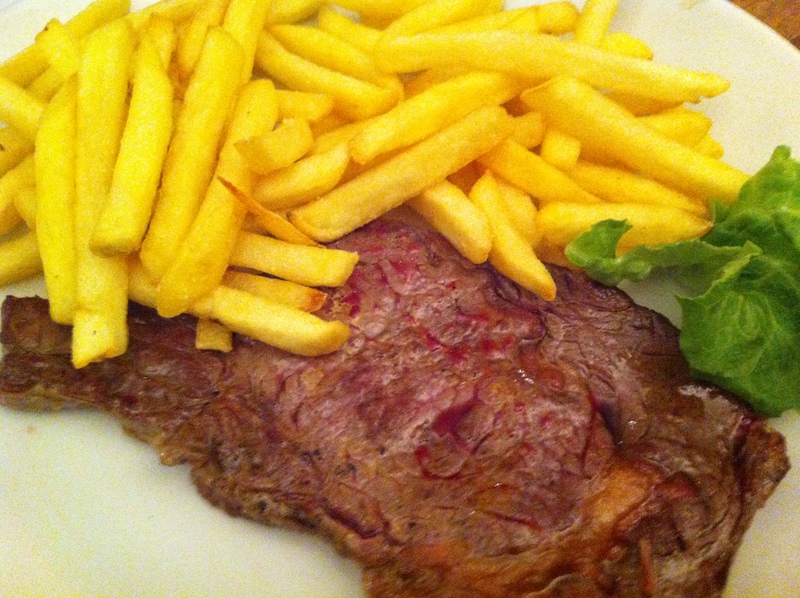 By the way, they also do an excellent steak-frites. Thursday: So, today is our second to last day. Our biggest plans include a walk through the market in Buxy, coffee at the Bar du Raisin and later this evening, dinner at Restaurant Girardot in Buxy. 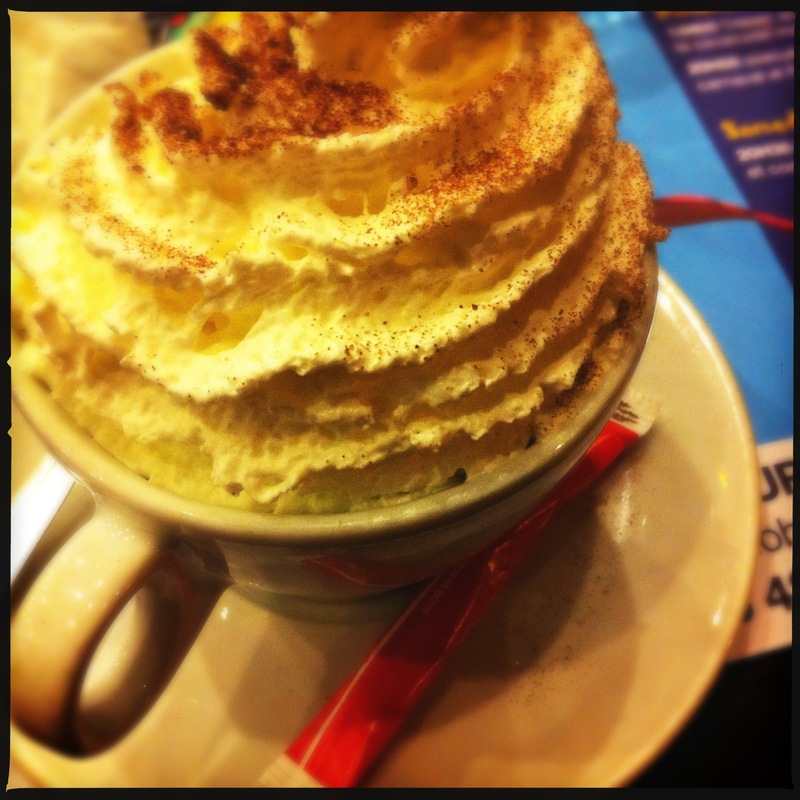 I expect to have a hard time saying goodbye to France tomorrow. And as expected… I sure did. Unpacking my wines at home made me feel slightly better though. 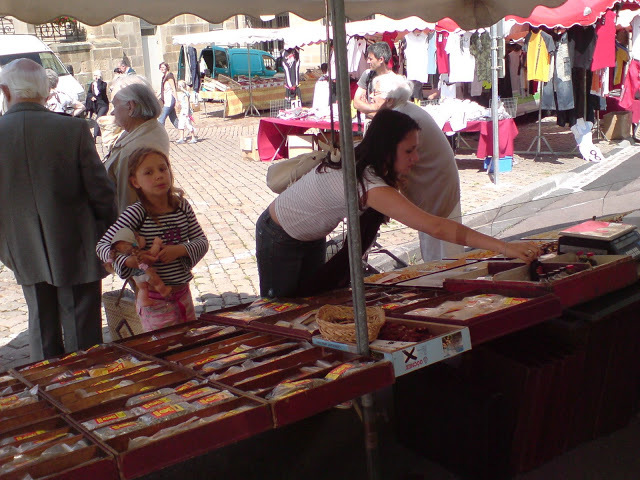 I think Autun probably holds one of my favorite markets; one which has pretty much remained the same over the years. The lady from whom I bought my first ras-el-hanout and tarragon many years ago is still there selling her spices, lavender, and in the summer, her dried fruit covered in wasps! The cheese lady with her assortment of regional goat’s cheeses is still there as well, and a while ago, a stand selling Dutch cheeses also joined the market. 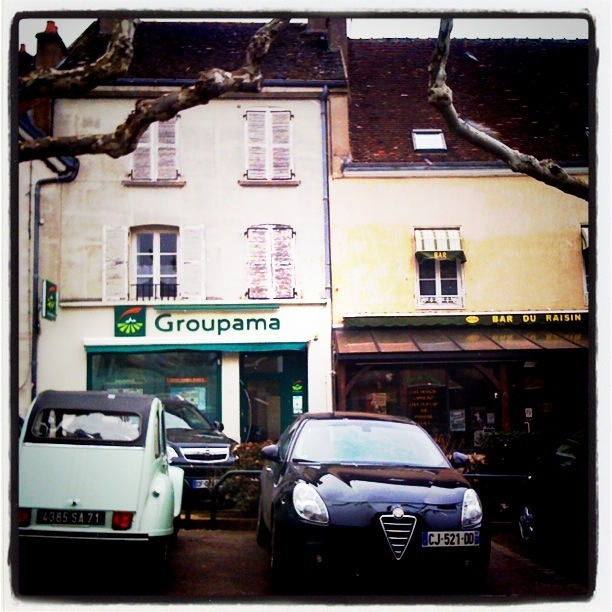 The city of Autun has many nice shops, restaurants and cultural attractions. Worth a visit are the ruins of the Roman Amphitheatre (built by Emperor Augustus and known to have been the largest in the Roman world) as well as the city’s two ancient gateways (the Porte d’Arroux and the Porte St-André, dating back to the 1st and 4th century respectively). Both attest to the Autun’s Gallo-Roman origins. Also worth a visit are the Musée Rolin where one can admire a variety of artifacts, sculptures and beautifully preserved mosaics. The museum is housed in the Renaissance hotel built by Nicolas Rolin, the man also responsible for L’Hôtel-Dieu in Beaune. The Cathédrale St-Lazare, located on that same square, dates back to the mid-12th century and is famous for its magnificent sculptures and exquisite tympanum executed by Gislebertus, one the best Romanesque sculptors. 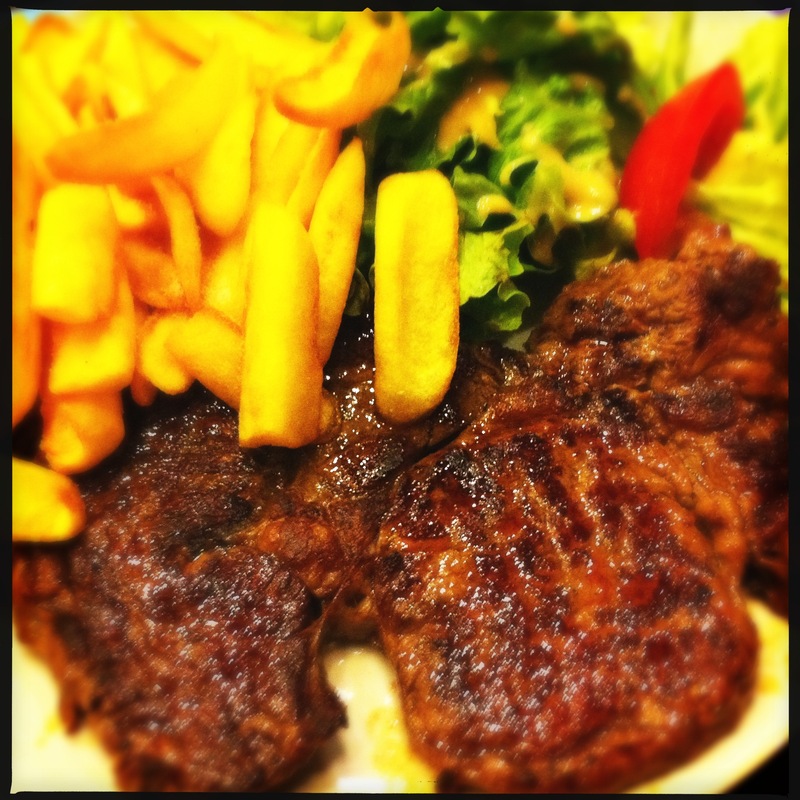 There are many good places to eat in Autun, but we always seem to stick to the same place – Brasserie Le Commerce. During the afternoon, the brasserie is filled with the local lunchtime crowd. Always a good sign. 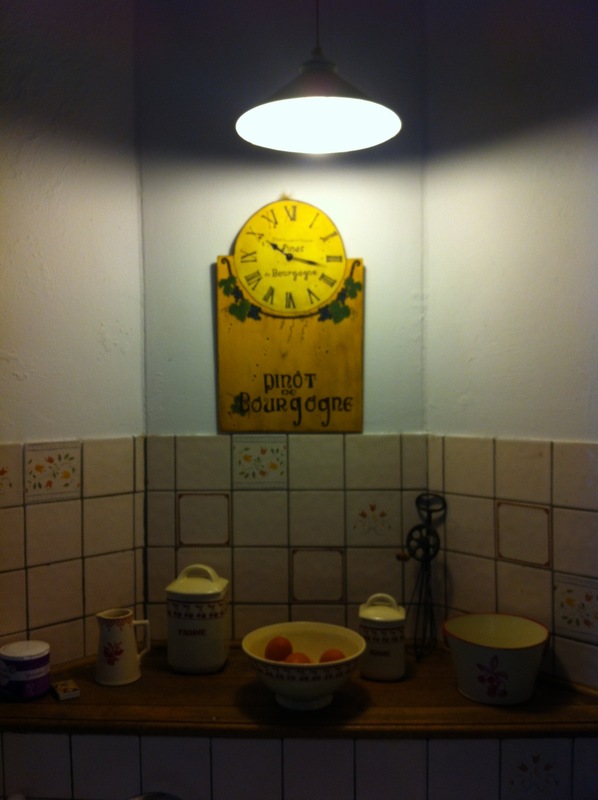 If you want to stop there for lunch, it is best to arrive before 12:30 in the afternoon as tables are quickly taken. Especially in the summer. The dishes served at Le Commerce are simple but always wonderful. 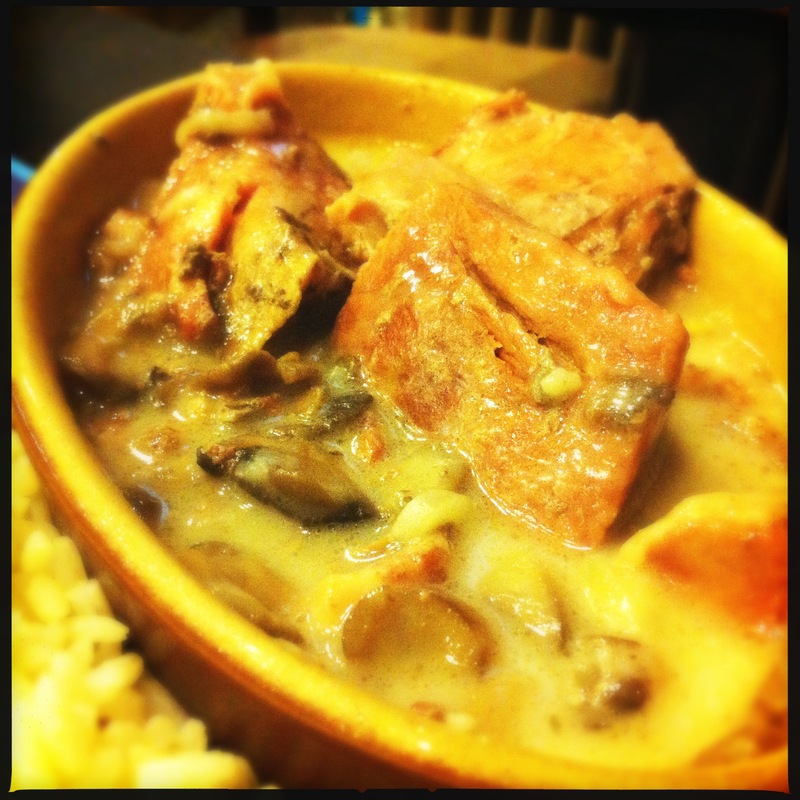 I’ve had the creamiest blanquette de veau and the most rustic (and stick-to-the-ribs!) 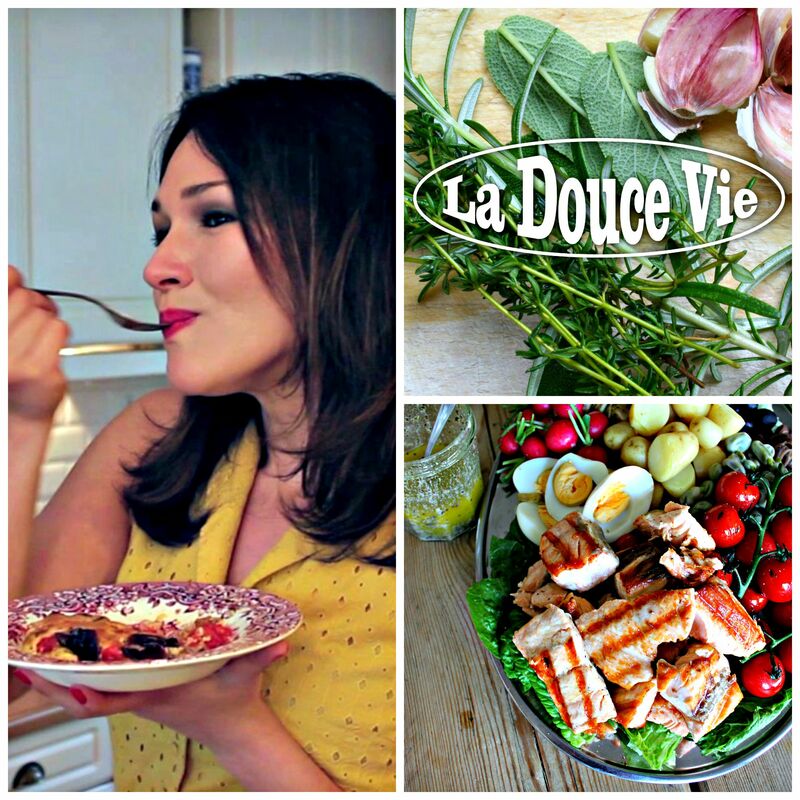 choucroute garnie in the winter, richly-filled seafood salads in the summer… and well, words cannot describe how irresistible their cocotte de escargots in garlic sauce really is! Without going into a whine fest (I’d much rather have a ‘wine’ fest), things have been rough lately. Our beautiful dog Pastis has been very ill for the past two weeks, and some days it has been so bad, that we were fearing he wouldn’t make it. He’s chronically ill and had a terrible relapse. I was so hopeful he would not get sick again. The last time was more than a year ago. I’ve lost count of the vet visits, emergency trips to the animal hospital in Amsterdam, medicines and days in pain for him — and in tears for me. As I write this, he’s sleeping quietly. I don’t know if it’s a good sleep or if it’s the effect of the two shots he had yesterday. I’m just happy he’s not in pain. And I’m keeping my finger crossed he’ll pull through. This morning, after a good night’s sleep (it’s been a while), I decided I needed to get in the kitchen and bake. Create. Revel in the joy of stirring, tasting, smelling. Letting go of the stress as I made something — not for work, but purely for me. Kitchen therapy is a very real, and very effective remedy for a heavy heart. And sharing my kitchen experiments makes it all the better.